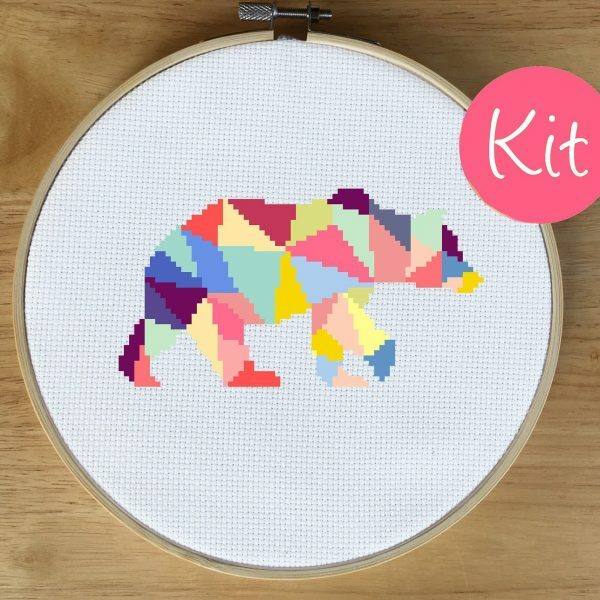 This is a modern geometric cross stitch kit. 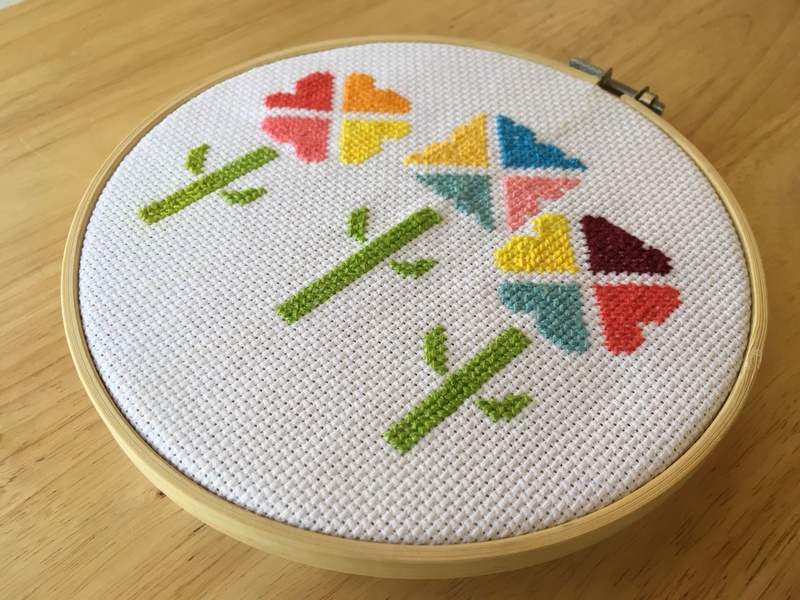 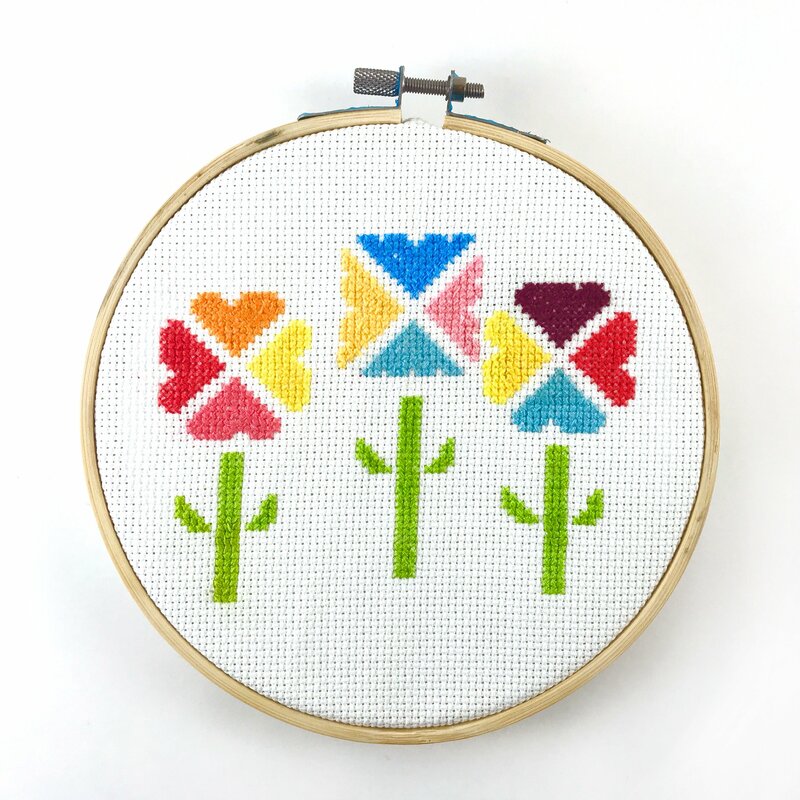 This is a simple cross stitch kit is a great pattern for beginners to stitch! It only uses a few colors and it doesn’t take very long to stitch. 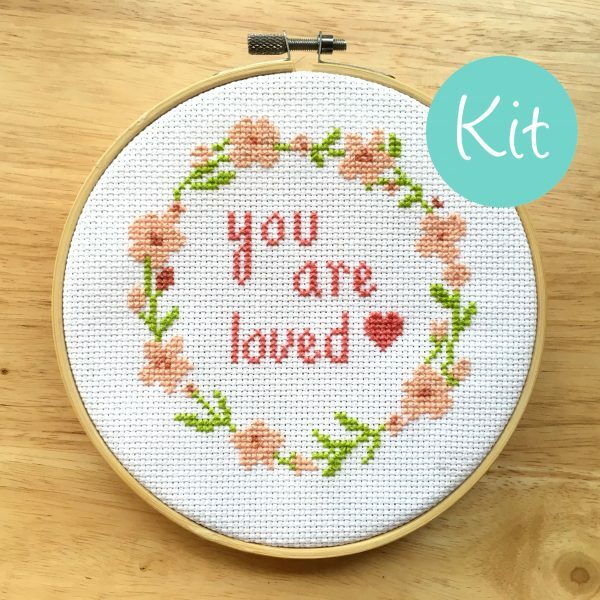 The finished product of this kit makes for a great gift or decoration because it is so colorful and cheery. 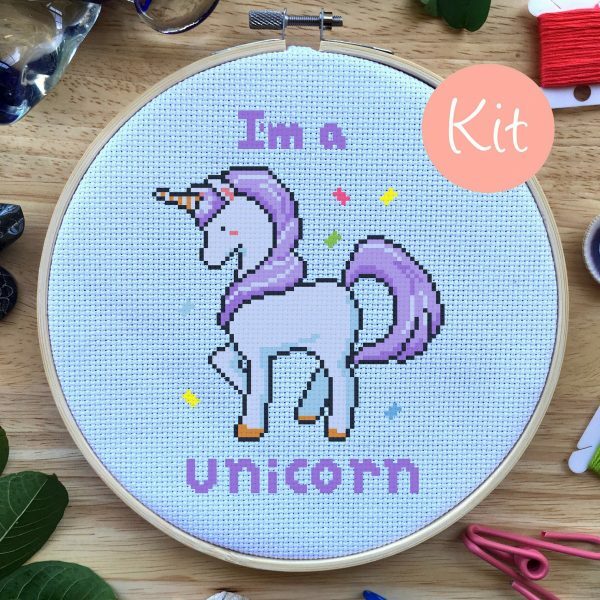 The kit comes with everything you need to complete this pattern. 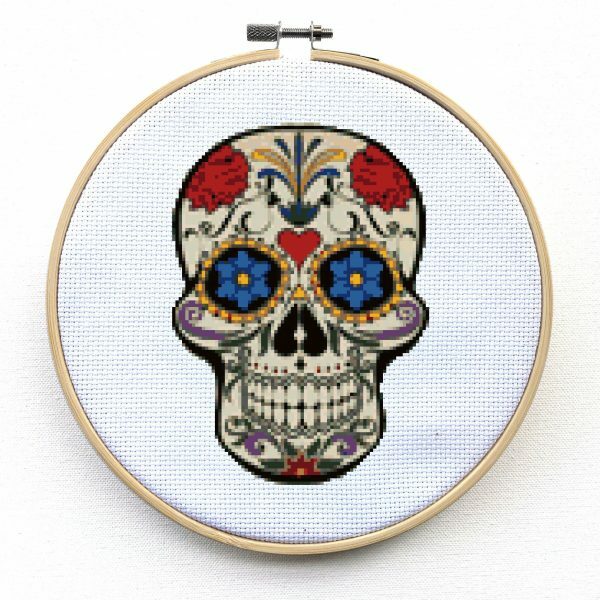 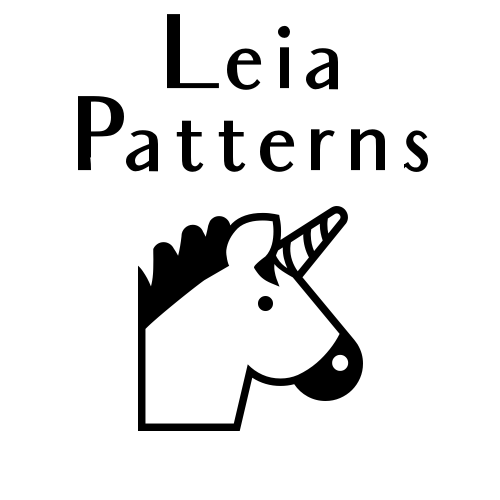 You can the PDF cross stitch pattern here. 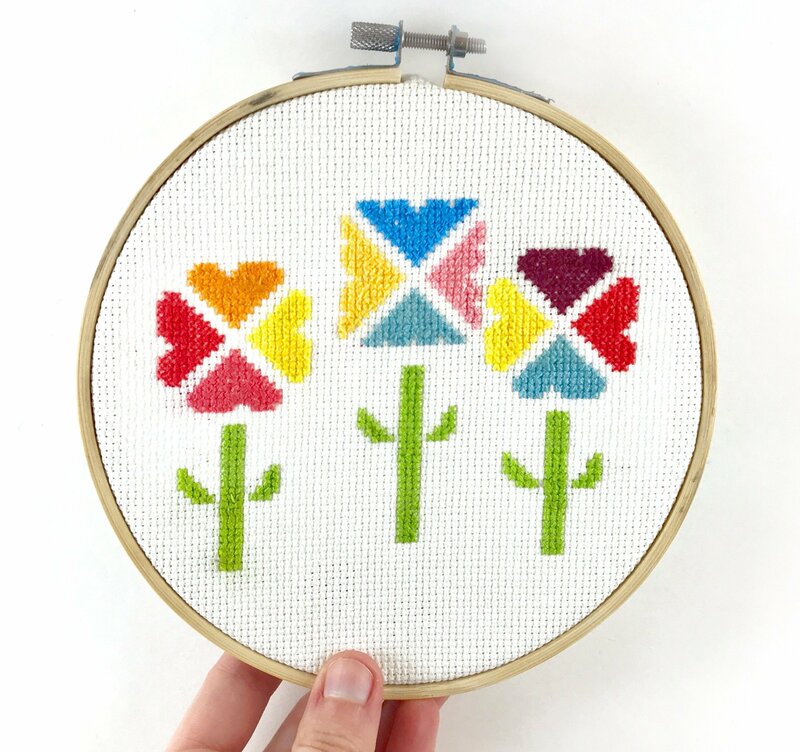 Size: 4.9 x 5.7 in. 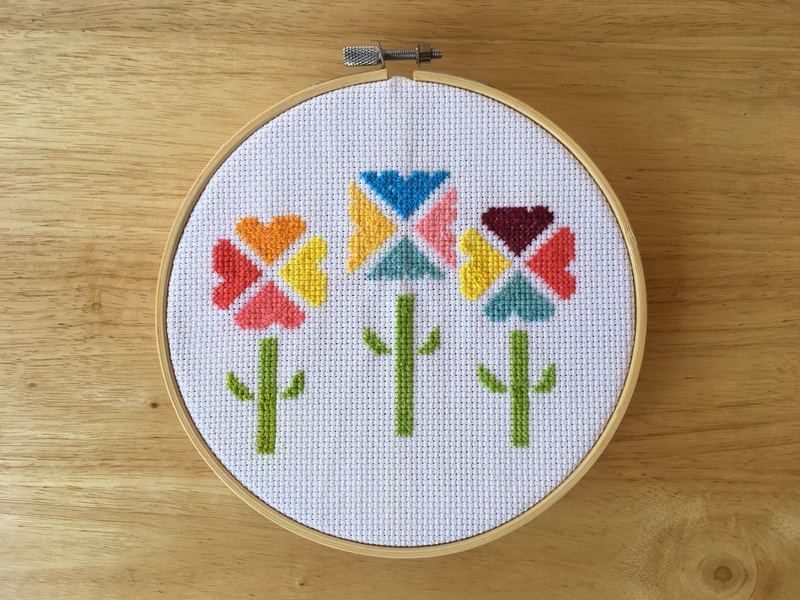 / 12.5 x 14.5 cm.